Tricks of thieves in transport. Theft of trailer or the whole unit – how to avoid losing your insurance? It was Friday. The thieves entered the parking lot, disconnected the trailer from the truck when the driver was sleeping and drove away. They were lucky: the monitoring recorded neither their truck’s registration plates nor the faces of the thieves. The next day, the weekend began, so they left the trailer in their backyard and started cutting long aluminum profiles which they found inside. The noise alarmed the neighbors, who called the police. The police officers could not believe how lucky they were. The story resembles those from the Olsen Gang, however, the theft of a trailer or cargo usually does not have such a happy ending. Such situations happen even on guarded car parks. Especially, in poorly lighted places, out of the way. 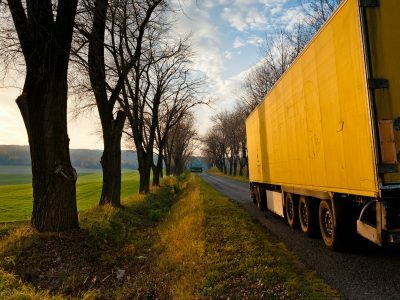 The driver may be sleeping and even not aware that somebody is driving away with his trailer,” said Alicja Wicikowska, an insurance expert cooperating with the Polish International Freight Forwarders Association. 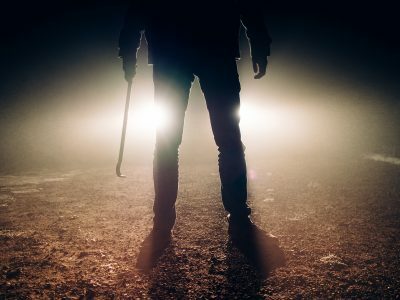 Of course, there are also much more dangerous situations when the thieves attack the driver as outside the truck. They can batter him, sometimes even drug him, and escape with the vehicle. They do not bother to reload the goods as it is too time-consuming. 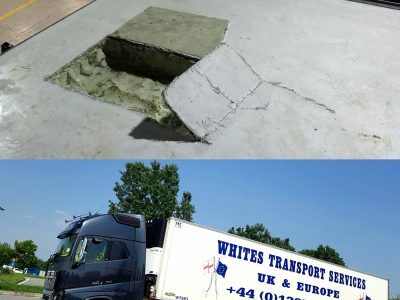 Sometimes, the truck may be found later somewhere by the road because, after several miles, the thieves, to cover up their tracks, would connect their own truck to the trailer, change the registration plate and go on. Paradoxically, it is very simple. It is much more difficult to steel the whole container because, to do that, they need a crane and a distant place where nobody will see them. On the other hand, entering the trailer usually allows the thieves to take only a part of the cargo to their van. Steeling the whole unit is much more lucrative,” added the expert. How can you protect yourself? The expert underlines that you are never 100% safe. But, you can minimize the risk. For example, you can transport the valuable loads in a convoy or under guard. However, it is good to inform the driver about it first. Adam Pająk, President of Transbrokers.eu, remembers the story of a trucker who noticed a “tail” following him on the road. He was sure these were thieves wanting to attack him and take over the truck at a car park. He called the police. The police officers detained the suspects, handcuffed them and took to the police station. Only after a while did it turn out that they were the guards sent quietly by the carrier to protect the valuable goods. On the other hand, too much openness may be harmful. These are just details. The most important thing is to plan the stops of the vehicle. The carrier should track the route and stopping places using GPS. It is required by many shippers. Before choosing a car park, it is recommended to contact its administrator and ask what it means that the car park is monitored – who is responsible for that and what area is covered. You need to make sure that there are no “blind spots” because, believe me, you can encounter them sometimes,” said the expert. Choosing a safe car park is not only a good habit. In fact, sometimes, it is the necessity if we want to receive the compensation for theft. In case your trailer or the whole unit has been stolen, the goods can be protected by a parking clause in your insurance. However, that entails certain requirements imposed by the insurer. For example, some insurance companies require that particular types of products be transported in rigid tarps rather than under a curtain or canvas. Others require that the trailer have safe padlocks,” said Pająk. However, the key is to check what types of car parks are permitted by the insurer. – Very often, you will receive a list of specific rest areas. Sometimes, the selected place has to be guarded. Some insurers even require that the car park is guarded and located near a 24h facility, such as a petrol station or a motel. This might be a problem, as in some countries, including Germany, Austria, and the Czech Republic, many petrol stations are closed at weekends. It means that the driver should not stop there because if he does, the coverage will not be effective,” warned the expert. A problem may occur also when the carrier ignored the threat. Generally, the carrier is not liable for the loss of the cargo if it is caused by the actions he could not prevent or expect. There was a situation when a driver parked his truck in a dangerous neighborhood near Naples. He knew about its notorious reputation because he grew up there, and despite this knowledge, he left the truck without any security. The truck was stolen, and the court adjudicated that the lack of awareness, in this case, was impossible,” explained Pająk. – Similarly, if the driver left the truck in a forest glade, out of the way, you may expect that the insurer will not pay the damages,” concluded the expert. Of course, we are talking here about planned stops. It is not about sudden situations like being stopped by the police, failures of the truck, accidents or standing in a traffic jam. The last thing regarding the parking clause you should know relates to the limit of lability. Experts recommend that it should be as high as it is possible. Especially since more and more shippers are asking about it. It is also important that such a clause is included in the insurance policy, which, unfortunately, is not a standard. The lack of the parking clause may eliminate the carrier from the supply chain. A lot of shippers and forwarders require that the clause be incorporated in the insurance coverage. Before the transport, the carrier should deliver its carrier’s liability insurance policy, which is then verified. If it does not contain the required provision, the carrier will not get the job,” warned Pająk in the article about the parking clause. Additionally, the rules of own damages insurance should be checked, as they will regulate the payment in case of a lost vehicle. There are also requirements regarding trailers. Some insurers oblige the drivers to have the trailer connected to the truck at all times during parking,” said Pająk. He also added that each part of the unit should be covered with a separate own damages insurance. A truck and a trailer form, of course, one unit. However, from the insurer’s point of view, these are two separate vehicles. 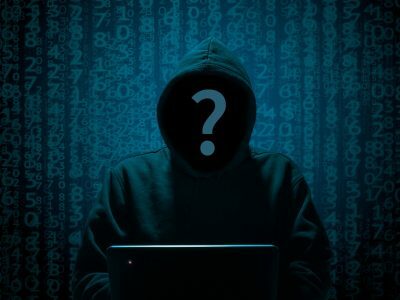 So, they are also separately insured, and, in case the whole unit is stolen, you will not receive damages for the part which was not covered with the insurance,” explained Pająk.